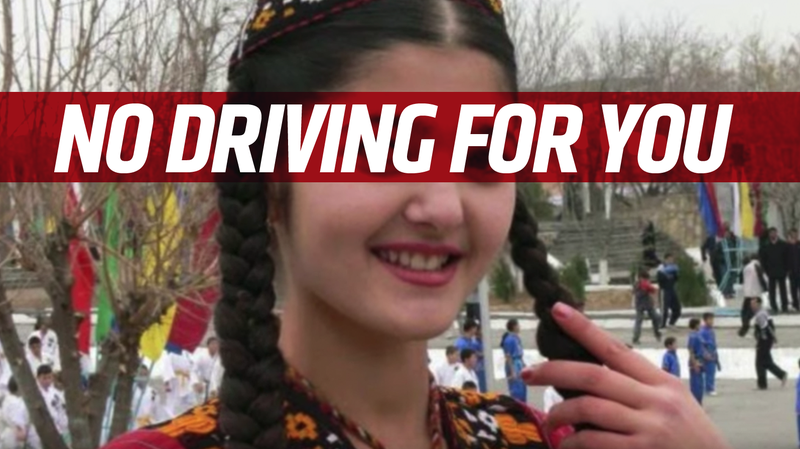 Turkmenistan’s batshit president, Gurbanguly Berdymukhammedov, the same man who just banned black cars because he thinks white cars bring luck, has instituted a ban prohibiting women from driving cars. So, in case anyone has forgotten what a jackass this despot is, this is a good reminder. The ban was announced in December, but authorities have just now started stopping women drivers, taking away their driver’s licenses, and seizing their cars.